Camping is a great and inexpensive way to see your own country or for traveling those hard to get to places. Some of those hard to see places are not accessible with large vehicles, so many use their four wheel drives and others hitch and backpack into these places. Traveling with the right tent in these circumstances is a very important part of enjoying your camping trip. Whether you are going on a trip for the weekend or weeks on end you need to do your homework and take the right tent and supplies. This tent would be ideal for two people although the height is approximately 48" not enough to stand in. It has electrical access port, a inside pocket to store gear in. It also comes with an easy fiberglass two pole set up. Many people love to go camping as soon as the weather warms up, and having the right tent will either make or break that perfect camping trip. If the weather suddenly changes you do not want to be caught with a tent without a floor and it needs to be waterproof. Knowing how to choose the right tent for your holidays will make all the difference. Learning what type of tent is right for you is not always easy as there are so many types and styles. Will you buy a two man, four man or family tent? There may only be two of you, yet if you are living in this for a few days or weeks a larger one with extra room will be handy especially if the weather turns bad. You may decide to buy a tent which is divided into two rooms. One partition for sleeping in, the other one to store all your goodies. Or you could buy one with a flap on the outside that acts like your home patio. If you prefer to sleep in the back of your station wagon you can use the tent to store all your things in. Another idea would be to buy one with the fly roof on one side, then you could back your wagon right up under the fly then you won't get wet moving from the wagon to the tent in bad weather. You will also be certain that no bities (snakes) will get into your bed. Ideal an comfortable for 3 people. It comes with the bathtub floor preventing water from entering tent. This one does not have a power outlet. It weighs just over 7lbs and internal height is 52"
Which tent will best suit you? Cost is of utmost importance- Cheap does not necessarily mean nasty. On the other hand expensive will not mean it is the best option for you. Have a look at many different styles so you will know roughly what you are looking for. Then shop around for the one you can afford with enough room to suit your individual needs. Number of people using tent- If there are two people I would still advise you to buy a three man tent as a two man will not leave you any room for movement. If you are tall then you should buy a taller style tent. When trying to get dressed it is much easier if you can stand up in your tent. If the tent is for sleeping in only, then it will not matter about the height. Type of vehicle you have- If you are backpacking then size and weight of the tent will be of paramount importance. Or if you have a very small car then you may need to choose size and weight over room and comfort. Which type of tent- you can buy a canvas or nylon/polyester tent. The canvas tents are heavier and take up more room whereas the polyester is lightweight and waterproof. These will also roll up to near nothing and take up less space. You can buy them with a complete floor to keep you safe and dry. With zip windows which allow for ventilation and keep the flies and mosquitoes out. Choice of tent Colors-Bright colored tents are easily spotted when hikers are lost. Darker colors will attract the heat the same as with cars. This tent is ideal for the family. It has one room for Mum and Dad and another room for the rug rats (kids). We love our kids right, but there are times when we parents need a bit of private time. You could still use this for two couple that are traveling together so they both have their own privacy. It also stands with 76"clearance inside. Wight is 24 lbs. The price of tents will vary between different manufacturers. They can start from as low as $50 to over a $1000 dollars. Do your homework and find the right type of tent that suits your individual pocket. Never spend more than you can afford. Although having said that, you still need to be comfortable and dry in the tent that you will be living in. It will of course depend on whether like I said earlier whether you just want a weekend tent could make a difference. Warning: How many times have the weather watchers got it wrong- fine and sunny can change in a flash to rain and storms. So think outside the box and cover all your needs and comforts. If you cannot afford the tent of your choice; then think about buying a second hand tent. If this is the case, make sure the seller sets it up so you know that all the tent pegs and accessories are all there and there are no holes or damage is obvious. 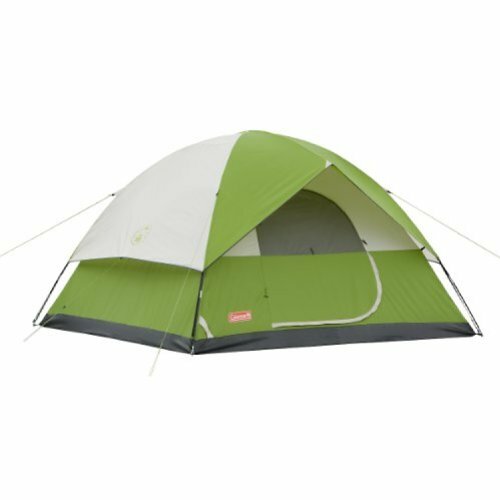 Coleman Sun Dome 7 Foot 3 Person tent from Amazon at time of writing for less than $50. Columbia Bugaboo II Geo Dome Tent with Foot Lockers. This particular tent sleeps 5 people with a camp port to allow access for cables. Ultimate rain protection and is well worth a look priced under $150. 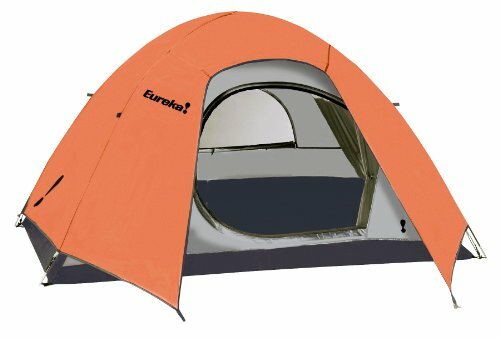 Columbia Cougar Flats II 15-Foot by 10-Foot 8 Person 2 Room Family Cabin Dome Tent. 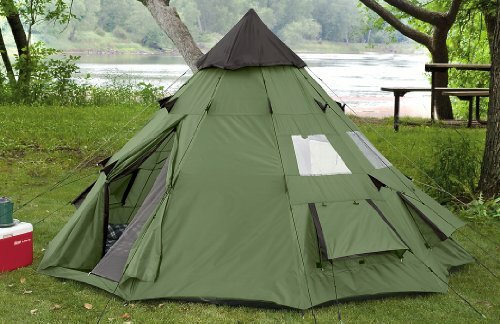 This is a spacious tent divided into 2 rooms dome tent with sleeping space for up to 8 people, for under $270. TIP: If you have bought a tent with pockets in the walls - make sure that you empty them before packing them away after your camping trip. Somehow one of our kids put an unwanted cheese sandwich in one of ours. Three months later when we unpacked the tent, we found it had gone all mouldy- Yuk? Whatever type of tent you decide to buy make sure you choose the right tent for your holidays by checkingout other suppliers to save your precious money for you to spend on your next camping holiday. If you are scared of snakes crawling into your tent or prefer not to sleep on the ground then this option may be better for your next holiday. Make sure you have packed all the necessary essentials before leaving on your next holiday. There is nothing worse than going to light the fire and find you left the matches or your flashlight at home. This may look old fashioned, although it allows air to circulate from many directions. It also gives you standing height inside center of 6'6". Awsome article that provided me with a ton of useful information...I will definitely refer others to it when they are seeking out the same information.